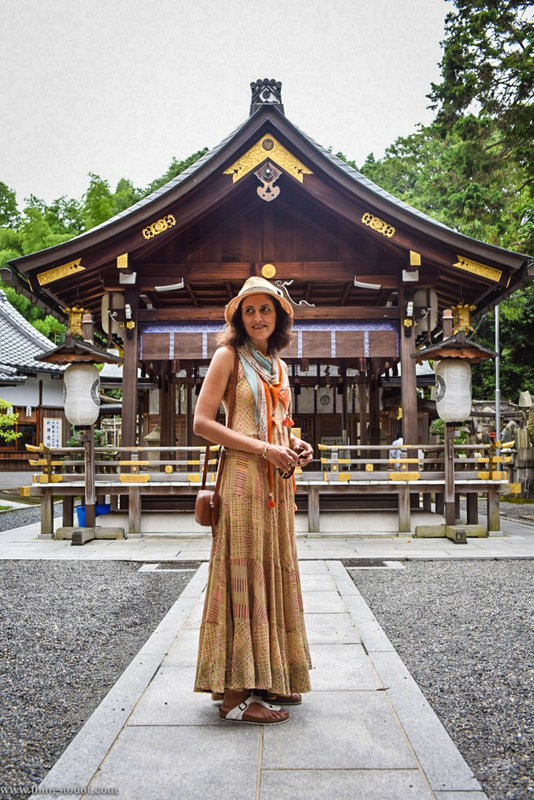 For my trip to Kyoto, Japan, besides my regular western tops and trousers, I chose a couple of dresses from traditional Indian brands like Anokhi and Ritu Kumar. 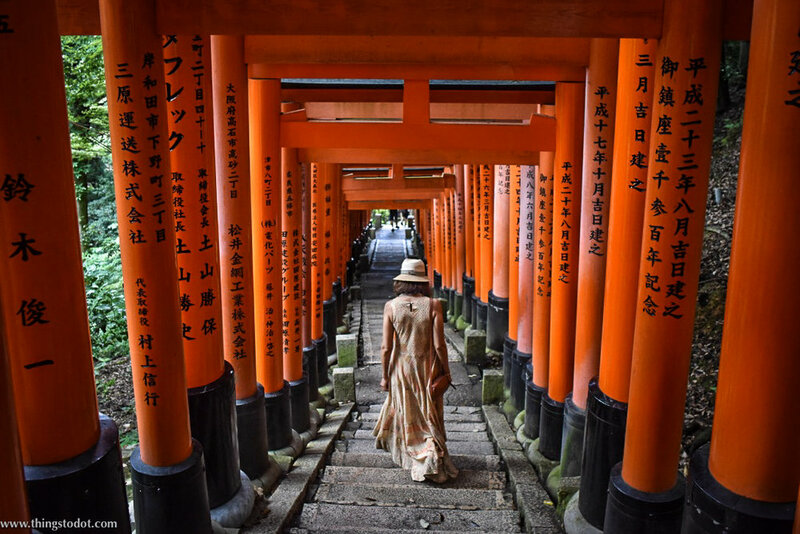 Kyoto is a very old and traditional Japanese city with 17 UNESCO World Heritage sites including some of the most famous temples and shrines in the world like the Fushimi Inari Shrine and the Kinkaku-ji Temple. I was almost certain that I wanted to wear something that complimented the places I was visiting. Also, it was the month of July and the weather was rather hot and humid, so whatever I wore had to be 100% cotton. 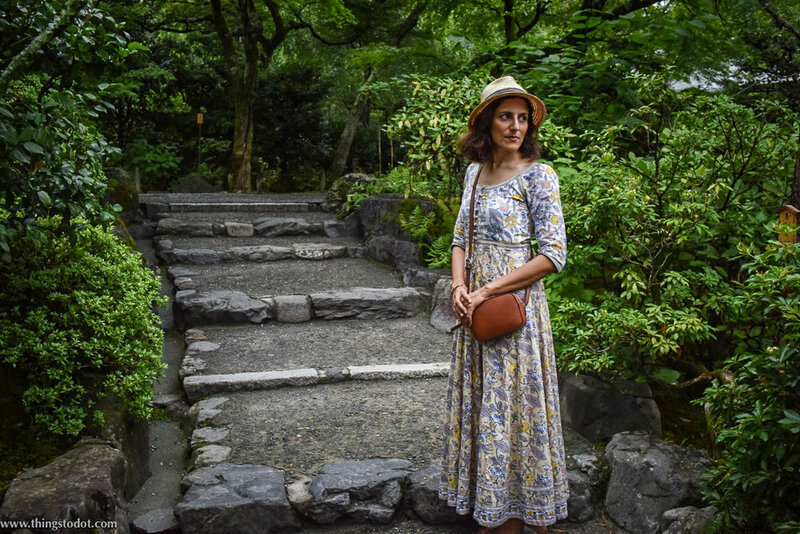 For my first day in Kyoto, I wore a 100% cotton dress from Anokhi, Jaipur, a traditional Indian clothing store that specializes in hand block-prints. For my second day, I wore another cotton dress from Ritu Kumar, a high-end Indian fashion label that has an exclusive collection of traditional Indian as well as contemporary clothing styles. Both dresses are available for purchase at 50% discount. Please send your enquiry to gunjan@thingstodot.com. Ryoan-ji, Zen Temple, Kyoto, Japan. A UNESCO World Heritage Site. Kinkaku-ji or the Golden Pavilion, Kyoto, Japan. A Zen Buddhist Temple & a UNESCO World Heritage Site. Tenryu-ji Temple & Gardens, Kyoto, Japan. A UNESCO World Heritage Site. Arashiyama Bamboo Grove, Kyoto, Japan. A UNESCO World Heritage Site.